Italy, although a member of the Triple Alliance with Austria-Hungary and Germany, had remained neutral in 1914. It had not been consulted beforehand and the treaty did not require it to participate in an attack on Serbia. Austria-Hungary was Italy’s traditional enemy and incorporating the 800,000 Italian speakers around Trieste and in the Trentino region of the Hapsburg empire into Italy was the main objective of Italian nationalists. Italy had joined the Triple Alliance in 1882 for defensive reasons: it was too weak to fight Austria-Hungary on its own and it considered the German army to be the best in Europe. However, Italy and Austria-Hungary both strengthened their navies and the fortifications on their mutual frontier whilst supposedly allied. Once war between the Central Powers of Germany and Austria-Hungary and the Entente of France, Russia and the United Kingdom had begun, neutrality was the obvious and most popular course for Italy. It had a long coastline and imported most of its wheat and coal by sea, making it very vulnerable to attack by the Royal Navy. Italy, however, was biding its time. the question was whether it could best achieve its objectives by joining the Central Powers, the Entente or staying neutral. The Treaty of London of 26 April 1915 required it to join the Entente within a month. The Italian speaking regions of Trieste and Trentino would become Italian. It would also obtain defensible frontiers and dominance of the Adriatic by the incorporation of German, Croatian and Slovenian speaking areas and receive colonies in Africa and Asia Minor. The Italians expected wrongly that their objectives could be gained by a quick war against Austria-Hungary, so declared war initially on only it. On 10 May, a week after Italy had renounced the Triple Alliance, a Naval Convention was signed between France, Italy and the UK. The French navy and the RN would support the Italian navy until the end of the war, unless the Austro-Hungarian fleet was destroyed earlier. The Italians would command in the Adriatic and the French elsewhere in the Mediterranean, except in Ottoman waters, where the British would command until the end of the Dardanelles operation. The Italian navy would be reinforced by four British battleships, four British light cruisers, 12 French destroyers, as many torpedo boats, submarines and minesweepers as the French could spare, including at least six submarines and six French seaplanes, with a seaplane carrier if possible. Source: Naval Staff Monograph (Historical) 1923 vol. viii The Mediterranean 1914-1915, p. 143. These figures exclude an Austro-Hungarian and two Italian dreadnoughts that were close to completion and some German submarines that were assembled at the Austro-Hungarian base at Pola for operations in the Dardanelles. The British ships would come from the Dardanelles, where they would be replaced by four French cruisers and an increase in the French battleship force to six. The Italian handed their declaration of war to the Austro-Hungarians on 23 May: it came into effect at midnight. The British squadron was at the Italian naval base of Taranto by the morning of 27 May. The above is based on D. Stevenson, 1914-1918: The History of the First World War (London: Allen Lane, 2004), pp. 110-13. Naval Staff Monograph (Historical) 1923 vol. viii The Mediterranean 1914-1915. pp. 141-42. Ibid. Footnotes 1, 2 & 11, p. 143. J. S. Corbett, H. Newbolt, Naval Operations, 5 vols. (London: HMSO, 1938). vol. ii, p. 396. Naval Staff vol. viii. pp. 144-45. As in previous wars, Britain intended to blockade its Continental enemies in order to prevent them from trading with the rest of the world. In 1908 Admiral Sir John ‘Jacky’ Fisher, the First Sea Lord, decided that the traditional close blockade was no longer viable because of the threat from torpedo armed vessels. He therefore ordered that the blockade ships should withdraw 170 miles at night. In 1911 Admiral Sir Arthur Wilson, his successor, reinstated the plan for a close blockade. However, as well as being very risky, it required twice as many destroyers as the Royal Navy (RN) possessed, since one would be in port refuelling and one on the way to or from the port for each one on duty. A policy of distant blockade was introduced in July 1914. The Channel Fleet would block access to the English Channel. A line of cruisers from the Shetlands to Norway would prevent German trade with the rest of the world. They would be safe from the enemy because the Grand Fleet, the RN’s strongest force, including most of its dreadnoughts and battlecruisers, would frequently patrol the North Sea from its base at Scapa Flow in the Orkneys. The British switch to a distant blockade ruined German plans to whittle down the RN by attacks on British ships carrying out a close blockade. Admiral Alfred von Tirpitz, the Secretary of State for the Imperial Navy Office, asked Admiral Friedrich von Ingenohl, the commander of the High Seas Fleet, Germany’s main naval force, in May 1914 ‘[w]hat will you do if they do not come [into the Heligoland Bight]’? Neither appeared to have an answer to this question. Lambert argues in a recent book, Planning Armageddon, that the Admiralty planned to conduct economic warfare against Germany in a huge scale. Britain would use its effective monopolies in banking, communications and shipping to disrupt the global economy and paralyse Germany. The plan was not carried out because of fears about the impact on Britain and neutral countries, especially the USA. In the Mediterranean Austria-Hungary and Italy, although both members of the Triple Alliance with Germany, each regarded the other as its principal naval rival. They were building against each other, but their alliance meant that the Admiralty had to allow for the possibility that they would combine against Britain and France. After a period of neglect of its navy, France laid down its first dreadnoughts in 1910. A new naval programme was announced in 1912, with 16 dreadnoughts planned, although the need to prioritise the army during the war meant that only seven were completed, plus another that was converted to an aircraft carrier. Britain and France had undertaken a series of naval conversations, but were not formally allied. Britain, which had to match the threat from Germany in the North Sea, reduced its Mediterranean fleet. France, which could not match Germany on its own, moved most of its fleet to the Mediterranean. The Cabinet decided that Britain would deploy a Mediterranean fleet of a one power standard excluding France in 1915 when enough ships would be available, meaning a fleet of six dreadnoughts and the two newest pre-dreadnoughts. In the interval, the Mediterranean fleet would be made up of enough battlecruisers and armoured cruisers to ensure that Anglo-French strength exceeded the combined Triple Alliance fleet, including the German Mediterranean squadron of a battlecruiser and a light cruiser. RN ships in the rest of the world were mostly old, with the exception of the battlecruiser HMAS Australia, the flagship of the Royal Australian Navy. Their wartime role would be to protect trade and hunt down the German cruisers that were stationed overseas. Quoted in H. Strachan, The First World War: Vol. 1, to Arms (Oxford: Oxford University Press, 2001), p. 395. N. A. Lambert, Sir John Fisher’s Naval Revolution (Columbia, SC: University of South Carolina Press, 1999), p. 290. Quoted in Ibid., p. 289. Quoted in Ibid., p. 299. Quoted in P. G. Halpern, A Naval History of World War I (London: UCL Press, 1994), p. 23. N. A. Lambert, Planning Armageddon: British Economic Warfare and the First World War (Cambridge, MA; London: Harvard University Press, 2012). Quoted in C. M. Clark, The Sleepwalkers: How Europe Went to War in 1914 (London: Penguin, 2013), p. 544. Napoleon abdicated on 6 April 1814, but news did not reach the south of France until after Wellington’s Anglo-Portuguese and Spanish army had fought a battle against Marshal Nicolas Soult’s French army at Toulouse. The area was hardly a Bonapartist stronghold to begin with…Bourbon sympathies ran higher than elsewhere in France. More importantly, Wellington was the one Allied army commander who kept a tight rein on his troops. Looting was absolutely forbidden, on pain of hanging…Wellington took care of his supply lines, and paid for requisitions in full. The 7th Division remained at Bordeaux, but Beresford and the 4th Division rejoined the army on 18 March. whereupon it resumed its pursuit of Soult across south west France. On 20 March Soult managed to evade an attempt to pin his army against the Pyrenees at Tarbes. Two of the roads east were cut, but the French held the one to Toulouse for long enough to escape. Jac Weller points out that Wellington had a number of problems: he would be outnumbered if Soult could combine with Marshal Louis Gabriel Suchet’s army, which was in Catalonia; operating in enemy territory, he had poor maps and lacks the accurate intelligence that he had received in Spain and Portugal; and he was not fully informed about the course of the campaign further north. Toulouse was on the east of the Garonne, a wide river. It contained a large arsenal and was surrounded by thick walls, but it lacked outworks, meaning that Wellington’s siege train could breach its walls if the guns could get close enough. The suburb of St Cyprien, to the west of the river, was fortified. Crossing the Garonne was difficult. The first attempt was made at Portet five miles south of Toulouse after dark on 27 March. It had to be abandoned because the pontoon bridge was 80 feet too short to cross the river there. The Garonne narrowed three miles further south above its junction with the Ariège. On 30 March the pontoon bridge was laid there, and 13,000 men under Sir Rowland Hill crossed. However, they could not cross the Ariège because there was no bridge across it and no other pontoon. Moreover, there was no road capable of carrying wheeled transport to Toulouse. The second attempt had to be abandoned, with the troops returning across the pontoon. The French did not discover the first attempt at all, and did not find out about the second one until a day later. Soult sent two divisions, with two more in reserve, to confront Hill once he had crossed the Ariège, but the lack of roads prevented the French advancing. Soult concluded that the British move had been a feint. Wellington now realised that he could only cross the Garonne north of Toulouse. A suitable spot was found, and 18,000 men under Beresford crossed on 4 April. The pontoon bridge was barely wide enough to cross the river at this point. It was broken after heavy rain caused the river to rise, isolating the troops who had crossed. They were, however, in a strong defensive position, and Soult did not attack them. Sir Charles Oman says that he thought that most of Wellington’s army had crossed the Garonne. By 7 April the river had fallen, and the bridge had been repaired. 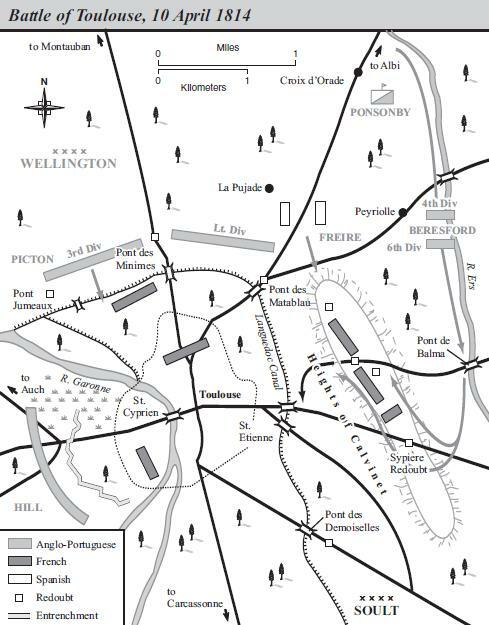 Wellington’s 49,000 men began the assault on Toulouse and its 42,000 defenders on 10 April. Hill’s corps was to demonstrate at St Cyprien to the west of the Garonne. On the other side of the river Sir Thomas Picton’s 3rd Division and Karl von Alten’s Light Division were to threaten the Toulouse. The main attack was to be made further north, against the Calvinet ridge, which looked down on the city. The Calvinet would be attacked from the north by two Spanish divisions under General Manuel Freire, supported by Portuguese artillery, and from the east by the 4th and 6th Division commanded by Beresford. Beresford’s troops had to march further in order to get into position, so Freire was ordered to wait until they were ready. The attack did not go to plan. Hill’s demonstration was well executed, but failed to fool Soult, who moved troops from St Cyprien to the Calvinet. Picton pushed on too far, taking unnecessary casualties for no benefit. Freire launched his attack before Beresford was in position. 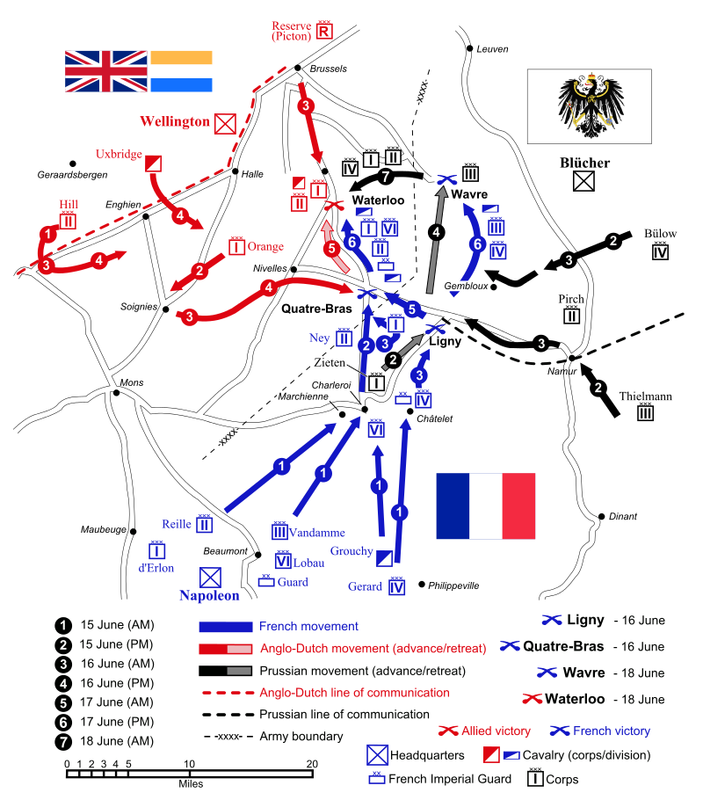 Wellington, seeing Freire’s move, sent orders to Beresford to attack the Calvinet immediately rather than waiting to get into the originally planned position, even though this meant that his troops would be attacking a strongly defended part of the ridge. 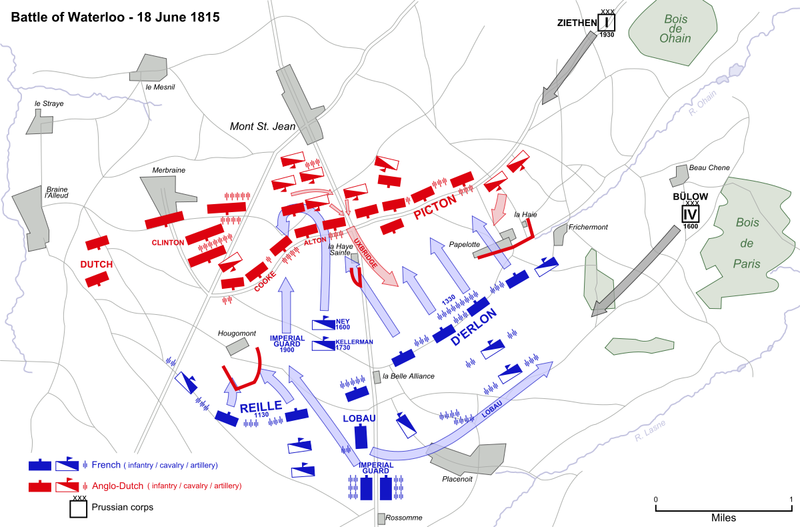 Freire’s assault had been beaten back by the time that Beresford received this order, so he ignored it and continued with the original plan, which was to attack the ridge at a more weakly defended point. 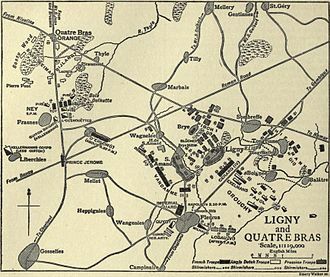 Beresford’s troops advanced towards the ridge, beat off a French counter-attack, and took part of the ridge with relatively light casualties. Beresford waited until his artillery had been brought up before resuming the assault. His men took the rest of the ridge with help from a further attack by Freire. It was forced back, but helped Beresford by distracting a large number of French troops. Soult still held Toulouse, but his positions were vulnerable to artillery fire from the Calvinet, and his supplies would last only a month. Wellington expected him to counter-attack on 11 April, but Soult, concerned that enemy cavalry was moving to cut him off, decided to retreat to Carcassonne. It was very unfortunate that the poor communications meant that such a bloody battle was fought after Napoleon’s abdication. On Soult 17 April he received formal notification of Napoleon’s abdication. He signed an armistice the same day, which required the French to evacuate fortresses in Spain, but not those in France. However, two further actions took place before these orders reached every garrison. On 14 April General Pierre Thouvenot, the French garrison commander at Bayonne, ordered his troops to sally out against the enemy troops blockading the fortress, although he had been informally informed of Napoleon’s abdication by then. British casualties were 150 killed, 457 wounded, excluding men captured, and 236 captured: many of the prisoners were also wounded, amongst them Sir John Hope, the commander of the blockading force. The French lost 111 killed, 778 wounded and 16 missing. The garrison of Barcelona sallied against their besiegers two days later, but in this case they were unaware of Napoleon’s abdication. Thouvenot eventually surrendered on April 27 after receiving a copy of Soult’s armistice the day before.Oman argues that the sally would have achieved nothing even if the war was continuing, noting that Wellington called Thouvenot ‘a blackguard’. The Napoleonic War was now apparently over, but it was to resume a year later. R. Ashby, Napoleon against Great Odds: The Emperor and the Defenders of France, 1814 (Santa Barbara, CA: Praeger, 2010), p. 130. J. Weller, Wellington in the Peninsula 1808-1814 (London: Greenhill, 1992), p. 351. Troop numbers are from C. W. C. Oman, A History of the Peninsular War, 7 vols. (Oxford: Clarendon Press, 1902-30). vol. vii. pp. 456-57, 556-60. Ibid. vol. vii, p. 460. P. Snow, To War with Wellington: From the Peninsula to Waterloo (London: John Murray, 2010), p. 229. Oman, Peninsular. vol. vii, p. 508.